For some drivers in Malvern, OH, Minerva, OH, and Waynesburg, OH the biggest concern with their car is appearance. 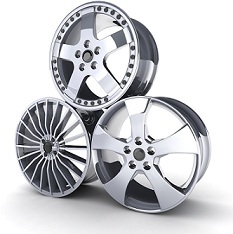 To maximize appearance, custom wheels and rims can be installed by Ron Ruegg Automotive in Malvern, Ohio. Our team is made up of industry experts that are enthusiasts like you. To ensure we stay at the forefront of the wheel, rims and tire industry, our team is regularly given detailed instruction on all of the latest in applications for new custom wheels, rims and tires. We stock a wide selection of wheels for Malvern, OH, Minerva, OH, Waynesburg, OH, and surrounding areas.